Join the Sacred Natural Sites Initiative and Terralingua as we explore the rich interconnections between Sacred Natural Sites and Biocultural Diversity. Biocultural Diversity is a living network made up of the millions of species of plants and animals that have evolved in relationship with thousands of human cultures and languages. Languages, cultures, and ecosystems are interdependent. They’re bound together through the myriad ways in which people have interacted with the natural environment, material, social and spiritual. 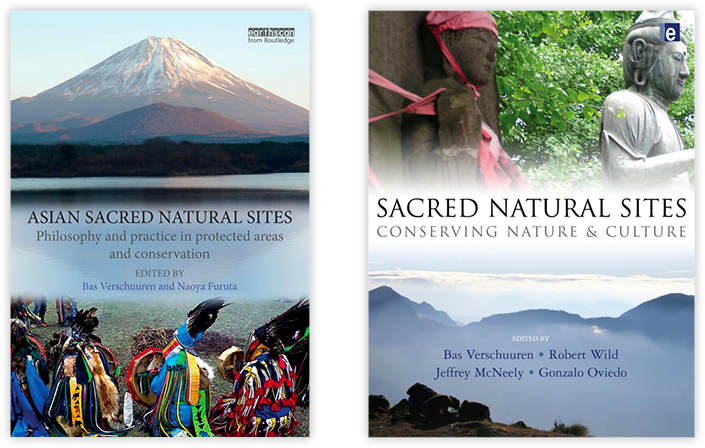 Through a unique lens of stories, photographs, articles, and a diversity of perspectives this volume of Langscape introduces you to the value of Sacred Natural Sites as valuable sources of biocultural diversity. They are the amongst the oldest places at which intersecting human culture and wild nature have deeply shaped humanity. Their conservation is complex but important not only for the survival of biodiversity and cultural diversity but also for human well-being and life as a whole.